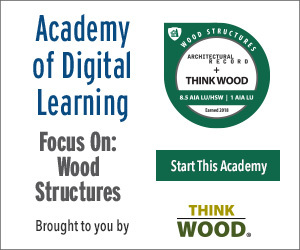 Discuss innovations and futuristic objectives for using shade structures constructed with fabric in commercial architecture. 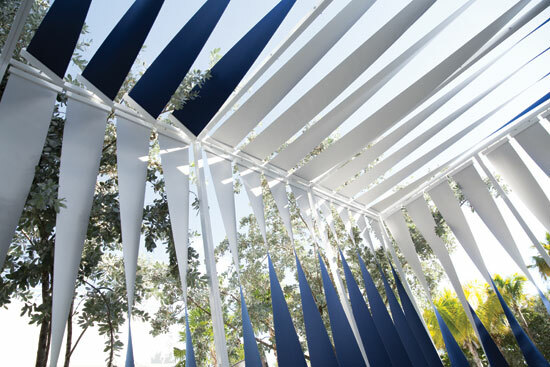 Explain how shade structures made of fabric can add both appealing design and functionality to building structures. Define the benefits of shade structures for personal health and UV protection. Discuss how the use of textiles in shade structures can positively impact thermal performance and energy efficiency. List LEED credits to which awnings and solar shades can contribute directly. Shade is arguably one of the vital elements in modern life, though not something that typically takes center stage in the design dialogue. Until recently, fabric shade structures were an appendage to a building, an afterthought, an accessory. Increasingly though, shade structures begin the design conversation. This is particularly so in commercial buildings, those in sunny climates, those which will inhabit a warming planet (this one), and by architects looking for new ways to create built environments in harmony with nature's forces. The future includes a conscious intention toward shade structures. What Is the Future of Shade? In a globally announced design competition called the “Future of Shade,” architects were asked to submit innovative ideas for using fabric in shade designs. Of the more than 140 entries submitted on the Architizer platform, three judges selected three standout concepts and a number of notable designs. The winners all reflected what the judges saw as the intersection between stylish design and benefits for humankind. “Twisty,” an innovative and flexible shading system, won a 2013 competition on the future of shade. An installation of Twisty was brought to life at The James Royal Palm in Miami Beach. Submissions included shade concepts from small shade structures for bus stops and bridges, to massive installations for train stations and beaches, and designs with multiple purposes: shade and water collection, art installation, and protection from the elements. 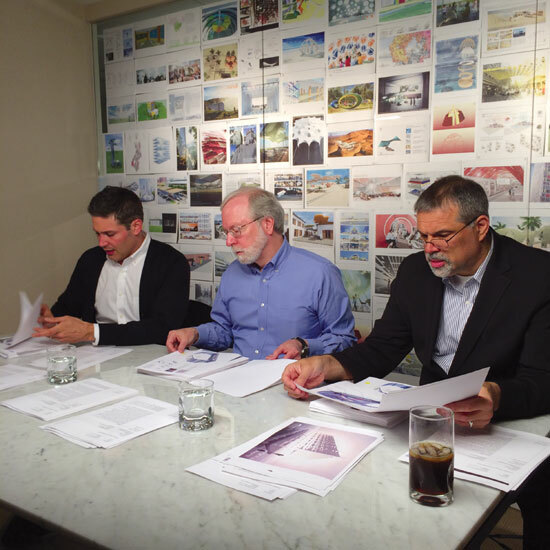 The three judges for a recent design competition on the future of shade were, from left, Marc Kushner, practicing architect and CEO of Architizer; Scott Campbell, president of Rainier Industries, and architectural writer and critic Fred Bernstein. “I love seeing architects and designers connect with a topic like shade and push themselves to come up with new designs and solutions for shade,” says Kushner. The third judge for the competition was Scott Campbell, president of Rainier Industries, whose experience leaned toward the practicality of manufacturing potential winning entries. And for Bernstein as well, innovation was the key winning element.